• Deep Central Undercut increases the face flexion and rebound for increased ball speeds. • The sound and feel at high ball speeds come from a stabilizing arch that reinforces the face. • Perimeter weighting produces a higher launch angle, more distance, stopping power on the greens and a bigger sweet spot. 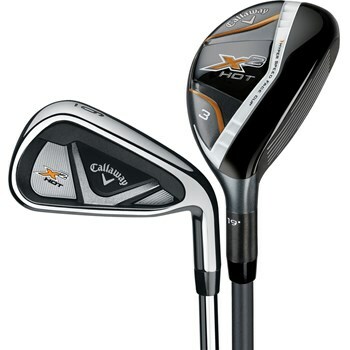 • X2 Hot Hybrids replace the longer irons for greater playability and distance from the high speed cup face.